A place to provide, promote, and preserve the power of the Arts in Education by Ron Zell - Pink-slipped Santa Barbara County Teacher of the Year. A blog that highlights the importance of an arts enriched education as a means of nurturing creativity, self-expression, self-confidence, thinking skills, and the well being of the whole child. in these two areas for students . The prescriptive solution for this glaring failure of our education system according to these people - who seem to be inordinately vocal, and just as inordinately uninformed, is to increase math and science courses for our children, at the expense of the arts or P.E. and other such 'non academic' courses. Somewhere, somehow, they - (whoever it is who buys into this concept), have entirely overlooked what those other countries are doing, and the careers of some very fine musicians, like Albert Einstein, (a very good violinist who loved to play Mozart) or Thomas Edison, or Benjamin Franklin - who were also quite capable scientists as I understand. Many of our Presidents like Thomas Jefferson have been fine musicians also and a survey of Silicon Valley start-up companies showed that a majority of the founders of those companies play musical instruments. Is it coincidence, or a fluke? Or could it be that music and the arts are a constituent part of a complete education - as is P.E. by the way. Rather than limit a persons potential in math or science, could it be that what the current research tells us about the arts is true when it says that they develop higher order thinking skills, and that the 'mind' is a confluence of physical, emotional, and cognitive abilities, and that divergent thinking, problem-solving, and creativity are nurtured by the arts and transfer to whatever areas of interest an individual may choose. By the way, - what is it that all of those other countries who consistently outperform American students in math and science have that we don't. (We typically rank 9th to 11th world wide, however, in 2010, our 15 year-olds dropped to 25th). Well, two things are certain. First, - whatever we are doing isn't working, and second, (which may be related), none of those countries have a No Child Left Behind Act. They also don't have a system of National Standardized Testing or in fact, a common method of program delivery or even a common curriculum. In fact, there seems to be an incredible amount of diversity in the k-12 curriculum that is offered in each of these countries. So what, if anything do they all have in common. Well, according to the report released by "Common Core" - a consortium of public-school teachers, what all the countries that consistently outperform American students in math and science have in common is "a commitment to a well-rounded education that includes the arts". Hmmmmm. - Who'd of thought. Speaking of scientists and music, what are those scientists talking about, and what is Bobby McFerrin doing at a recent World Science Festival. Notes and Neurons? What's going on here?. Ron Zell, Santa Barbara County Teacher of the Year, and California State teacher of the year finalist. Ron Zell has taught classroom music, choral music, instrumental music and piano to thousands of K-12 students and adults. Ron is also a composer, author, and educator. Eduarts4us is about the power of the arts in education, and the importance of an arts enriched education to creativity, self-expression, self-confidence, thinking skills, and the well being of the whole child. ASU Music Ed Alumn Awarded STEAM grant! 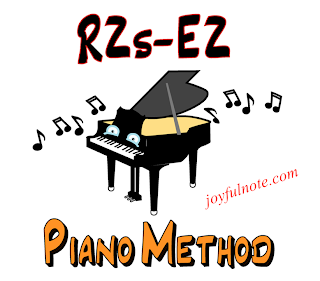 The first of 25 instructional videos to accompany RZ's EZ Piano Method went online last evening. Music Makes You Smarter ????? This collection introduces many of the world’s leading experts in emotional intelligence, and provides valuable perspectives on different definitions of this important capacity and numerous starting points for development. It provides a wealth of information on the subject of emotional intelligence, with a rich variety of viewpoints to spark your thinking.